s, Managing Director of Brisbane-based bureau^proberts, has over 20 years’ experience designing award-winning multi-residential and mixed-use developments in Australian and international markets. The firm’s recent local successes include Kangaroo Point’s SILT Apartments (shortlisted at the World Architecture Festival and sold out within five weeks) and the M&A Apartments in Fortitude Valley. Liam shares his top five tips for creating successful development projects in Brisbane. Brisbane has one major city plan made up of lots of smaller neighbourhood plans that encourage developers to respond to the character of a specific city area. This allows government to influence the overarching character of Brisbane in a meaningful way by providing specific incentives to developers. This is of real benefit to developers because it helps them build projects that are more attractive to the market and maximise yield, while at the same time making a significant contribution to the urban fabric of Brisbane. The Brisbane market changes quickly, especially when demand for real estate is high. What the market wants changes almost monthly and developers need to be responsive to this. This means keeping a constant eye on the market by being across social trends. Successful developers are ready to commit to a project as soon as they see an opportunity but are also flexible enough to adapt if the market changes suddenly — for example, from three bedroom apartments to one bedroom studios. Developers need an experienced team that can alter the design just as quickly, and who has strong relationships with local authorities to fast track any planning issues through the system. Urbanisation is a key trend that has led to more diversity in city populations and is therefore driving the need for more diverse urban housing options. Student housing, aged care developments and single person residences are all big trends in Brisbane now— we’re currently working on a number of owner/occupier single-bed houses, along with single-floor apartments as an alternative to a home. Developers who take into account current social trends are able to create more successful projects because they are directly meeting the needs of the market. I believe that development has the greatest influence on how we will live in and enjoy our cities in the future. The quality and variety of developments shapes the character of the city, as well as being of value to the developer because it makes projects more marketable. 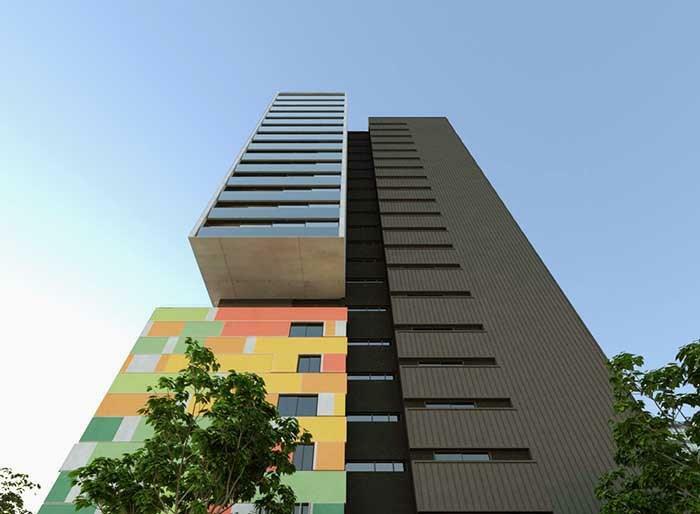 In the last 18 months there has been a massive boom in the building of compact and affordable apartments in Brisbane, which reflects the rising awareness that you can live comfortably in apartments in a sub-tropical city. As this awareness grows, so too the design of these smaller dwellings is changing and becoming more diverse in response to the greater demand. We need to look at how to encourage diverse projects that can be commercially successful and create a positive experience for the people who live and work in them. In Sydney and Melbourne you tend to get ‘champions’ of particular areas in development and I believe there is a lot we can learn from these larger Australian cities. For example, the City of Sydney has its own authority to manage development. Brisbane’s cultural centres of the CBD, Fortitude Valley and South Brisbane would benefit from more incentives for high quality design developments and a special body to promote this could strongly influence the cultural heart of the city in a positive way. Developers can play a role by being advocates for high-quality projects that work for both their bottom line as well the overall character of the city, and by working with local governments to best improve Brisbane going forward. We should all strive to be adventurous in finding solutions that exceed client expectations and provide outcomes that make a really positive contribution to the city. bureau^proberts achieved that with M&A in Fortitude Valley. We worked with the local Council on the pedestrian laneway that runs through it and we created a retail and residential mix that has significantly contributed to the area and really livened up that corner of the Valley. Another point of difference we try to promote in our work is bringing in specialists to help with a project, including working with artists. While the types of residences people require have changed, a desire for a strong sense of identity to place has not. Using integrated art in our building concepts we create developments that are individual and distinguishable, meeting the needs of both the end user and the developer.